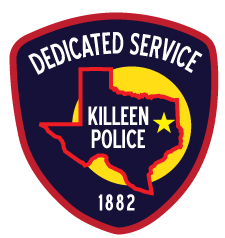 In an effort to better evaluate the Killeen Animal Shelter’s daily activities and services to the community, effective April 20, 2015, the Killeen Police Department’s Animal Services Unit will begin distributing Customer Satisfaction Surveys for citizens utilizing services at the Animal Shelter. This survey will be available at the shelter and is designed to allow immediate feedback to department personnel regarding services rendered, observations of existing conditions of the Animal Shelter, and to provide an additional platform for comments from citizens concerning the information they feel needs to be conveyed to management. The goal of this request is to gather unfiltered, timely, and accurate information regarding the services and/or conditions of the Animal Shelter from our citizens’ perspective. The Killeen Police Department announces the renaming of the Animal Control Unit to the Animal Services Unit to better align the unit’s name with its mission of service and care for animals. Additionally, the department wishes to announce the hiring of Mr. Edward W. Tucker as the new Animal Services Unit Manager. Mr. Tucker served 30 years with the U.S. Army, retiring at the rank of Sergeant Major. “Ed brings with him a great deal of management and leadership experience and love for animals that we believe will help propel the Animal Services Unit to the next level. We are glad to have him as a member of our team,” said Police Chief Dennis Baldwin. Changing the unit’s name was one of the first recommendations suggested by Mr. Tucker on day one, said Baldwin. “We would also like to thank Commander Lee Caufield for his efforts over these past several months in addressing the challenges facing the unit. Lee’s steadfast, professional leadership and inclusive management style has helped to improve the effectiveness and efficiency of the unit. Moreover, the service level and care of animals has been elevated under his leadership,” said Baldwin. Mr. Tucker will be available for interviews on Thursday, August 28, 2014, at 10:00 A.M. The interviews will be conducted at the Killeen Animal Shelter located at 3118 Commerce Drive.